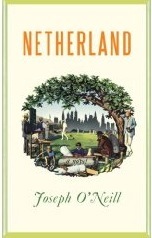 If I had done my research, I could have saved myself the time I wasted reading Netherland by Joseph O’Neill. All the reviews that have raved about it go on and on about the lushness of the prose and the beauty of the blah blah blah. I don’t know what the blah blah is because I can’t bring myself to go back and read the reviews. What I do know is that had I paid closer attention I would have noticed that nobody mentioned the plot. Why is that? Because the book doesn’t have one. It’s a plotless meditation on loss, love, blah, post-9/11 New York, whatever, cricket, and some other stuff I don’t care about. A lot of the reviews have compared O’Neill’s books to The Great Gatsby which leaves me stunned. Stuff happened in Gatsby. In fact a series of things happened and each of those things had something to do with the stuff that came after it, and in the parlance of the modern writer it had what we like to call a plot — a delicious, glorious, beautiful plot. A plot is that which keeps us turning pages, because we care to see what happens to the people we are reading about. Netherland was sorely lacking that and thus also lacking my affection. Beautiful writing, which there is plenty of in O’Neill’s book, can only get you so far. As much as I hate to be this person, I need a plot in a novel. I’m willing to go without plot in short stories because I’m only giving up an hour of my time, but a novel needs to have more than pretty writing to keep me going.